This page is for you if are like many others out there who want to wear something different, I call them alternative engagement rings. If for reasons, having a diamond, or at least a natural diamond, doesn't top your list, that is more than OK! So, if you don't love diamonds then what are your options? Well, longevity becomes an important factor of the stone you choose. If I could borrow anything from the diamond when talking to my non-diamond clients it would be its hardness and toughness! Hardness means 'the ability to resist scratching' and toughness means how well a gemstone will wear ie: 'how much abuse it will take'. Some gemstones are brittle and can chip very easily. A diamond's hardness is a 10 and is exponentially harder than the gemstones that rank 1-9 on the MOH'S Scale of Hardness so that is the characteristic you want to keep in mind when choosing your stone. If you are going to go through the awesome custom design process then you should try for something that falls in the excellent, very good or good range for everyday wear. Those that fall outside of this range are of course wearable but may not hold up in an everyday ring or bracelet. Using them in a pair of earrings or a necklace would be a far better bet. Let me help you feel confident to make the best choice for you and your custom piece. In other words, let me help you choose wisely! I have categorized all the options for you below to make it super easy to figure out what the best stone for alternative engagement rings and and what is not-so-desirable. Lab-grown diamonds are like natural earth-mined diamonds in every way except they are grown in a controlled laboratory setting. They are on average 30% less expensive than their natural counterparts. Moissanite is man-made, eco-conscious and increasingly popular choice that is tough and hard which makes it excellent for everyday wear. It is also about 80% less than an earth-mined diamond. Moissanite, originally discovered in 1893 in a meteor crater, is a very rare and scarce mineral. Moissanite as we know it today is almost exclusively lab grown. To give some context here are 2 graphics created by Moissanite makers Charles & Colvard that show you the differences between the 3 choices for your Moissanite and a comparison to other gemstones. Moissanite also comes with a limited lifetime warranty from Charles & Colvard. Interested in seeing Moissanite in person? Let me help you navigate the sea of information with confidence! The stones that are very good for everyday wear are Sapphire and Ruby. They are actually the same variety of gemstone, corundum, but coloured by different elements. Sapphires come in literally all the colours of the rainbow but the name Ruby is reserved for only the red ones. The vast array of colours you find Sapphires in makes them such a great alternative to a colorless stone. Sapphire even comes in colourless/white. The lab-grown/man made versions of Sapphire & Ruby are physically and chemically the same as their natural counterparts and come colours like in blue, yellow, pink and Padparadscha (my fave of all the sapphire colours). These are the stones that are good for everyday wear - Topaz, Spinel, Lab-grown Emerald, Alexandrite and Chrysoberyl. They have a hardness ranging from 8-8.5 and are hard stones but not the best in the toughness category. They are still good for everyday wear but not the best or very good. This is due to the their cleavage. Minerals cleave along particular crystallographic planes where the atomic bonding is weaker. It is similar to splitting a piece of wood - it splits fairly easily along the grain, but not across the grain. Sapphires & Rubies have no cleavage but Topaz has perfect cleavage. Diamond actually has perfect cleavage too but its hardness makes it far less of a concern. 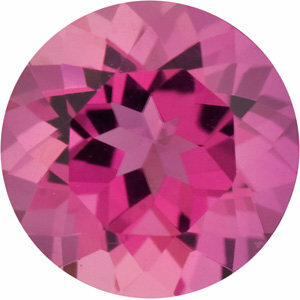 Spinel has indistinct cleavage and Alexandrite and Chrysoberyl have good cleavage. I love these stones and work with them often and when I am working with them I always have a conversation about their properties and what to expect when using them in an everyday wear piece of jewellery. This is a category full of stones that I am in love with too and I do use them as well, just not often for everyday jewellery. Aquamarine, Emerald, Opal, Pearl and Tourmaline are some of the stones that fall into my last category. Most of these stones are here due to their hardness. They all range just under the 'Good for Everyday Wear' gemstones, some like Aquamarine, and others like Pearl and Opal, are not that great for everyday wear. I am working with a client right now with an rough Opal he has sourced from a specific mine for sentimental reasons, and I am going to re-cut it and set it in a protective bezel setting. He is very aware that it may not last forever as Opal is soft (hardness is 6-6.5) and has a high water content that makes it susceptible to drying out and therefore cracking. We have a back-up plan in case we need one but at least he knows the dangers of using it and has the chance to go in another direction if he so chooses. HAVE A QUESTION ABOUT STONES, OR WISH TO SEE ONE OR MORE OF THESE OPTIONS IN PERSON?